Happy Halloween, everybody! Since today is the spookiest day of the year, no Christmas movie will do! On this double-wide episode, we tackle two staples of the Halloween season: First up, the Creeps dig into It’s The Great Pumpkin, Charlie Brown and whether or not it’s actually a terrifying portrait of existential dread. 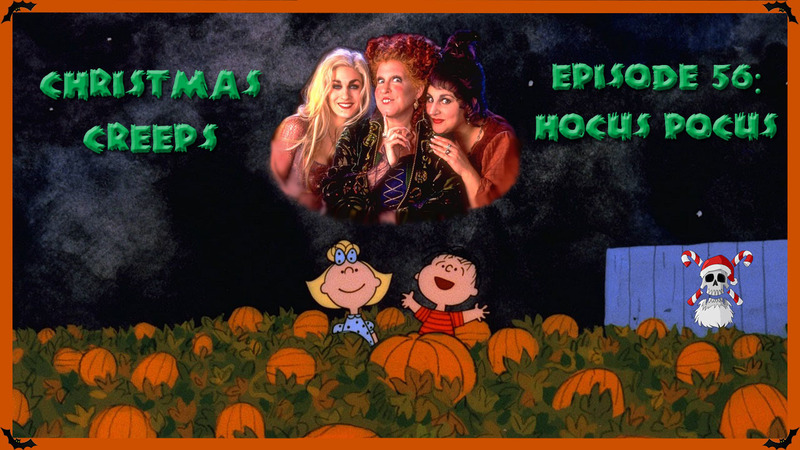 Then, we talk out the weirdly sexual undertones of Disney’s 1993 cult classic Hocus Pocus. Find Hocus Pocus on these streaming sites! This entry was posted in podcast and tagged 1966, 1993, animation, cat, Disney, Halloween, holiday special, podcast, television. Bookmark the permalink.